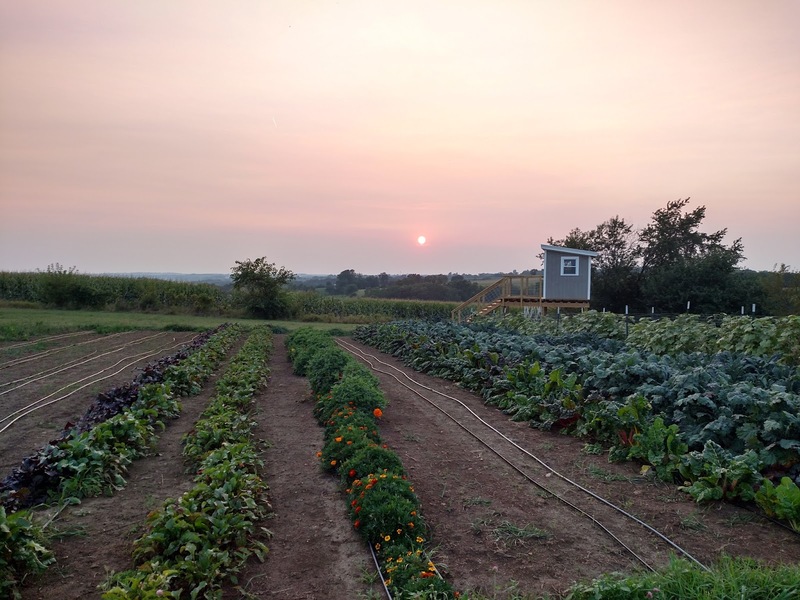 Within minutes of arriving at Bountiful Hope, my ultimate question was answered before I could ask it: "Our greatest challenge is soil fertility," declared Melissa Burch, co-founder of the charity farm. 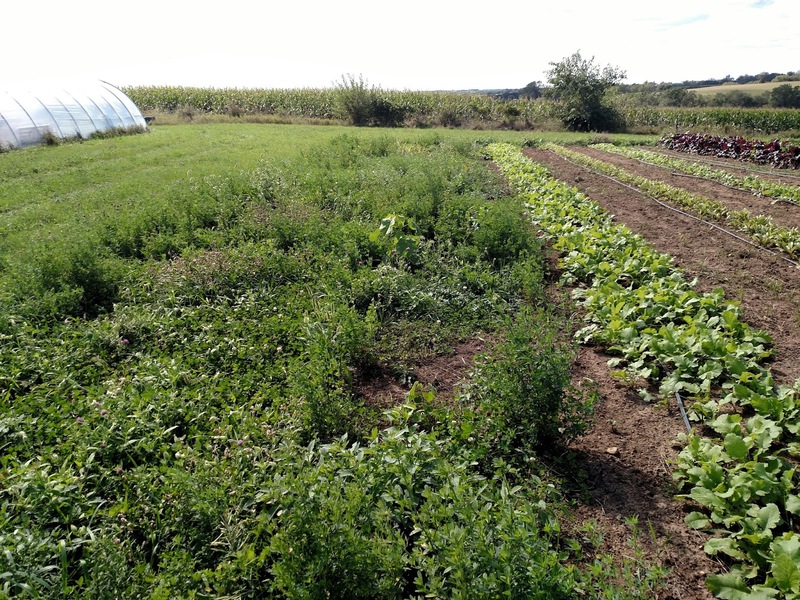 It occupies three acres near the upper slope of a former pasture—not ideal ground for the demands of annual veggies. 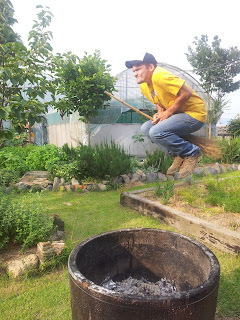 And each year, harvesting thousands of pounds further withdraws fertility from the soil bank. Manure and compost help compensate. 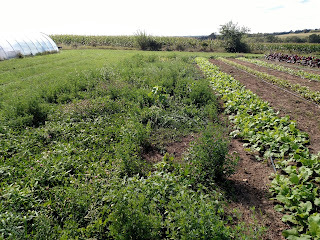 Additionally, Melissa has been researching and experimenting with cover crops. Melissa and two happy volunteers. 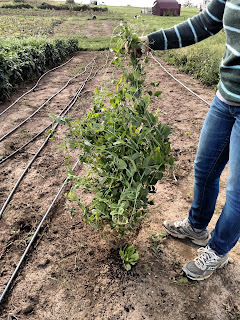 Melissa's preferred cover crop, beans meet all of the criteria as nitrogen-fixers that can beat out weeds and add organic matter to the soil. As an added bonus, beans also last the longest, from June 1st to mid-September, before dying back and needing harvest.... which brings us to its greatest benefit: food. 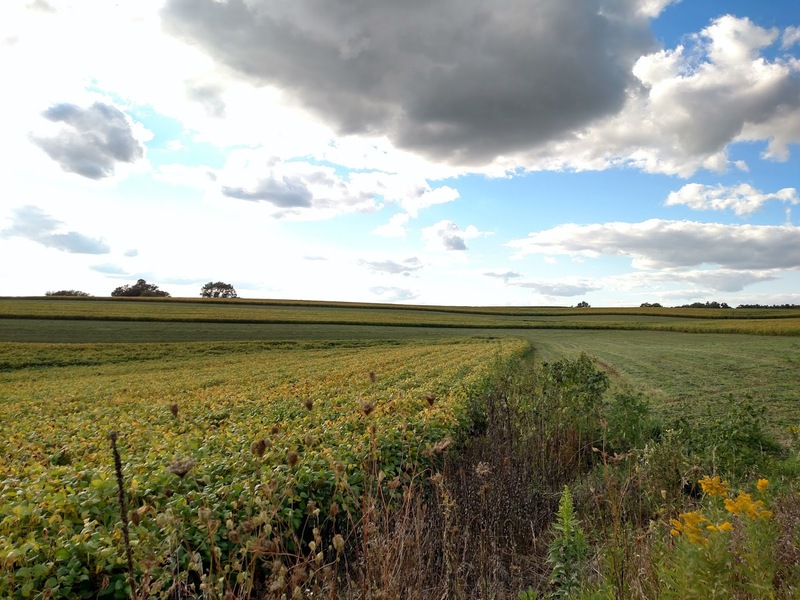 Beans provide the benefits of a cover crop without leaving the field out of production like the others. 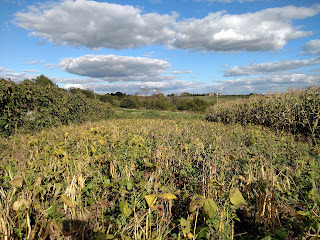 Bush beans dried and ready for harvest. 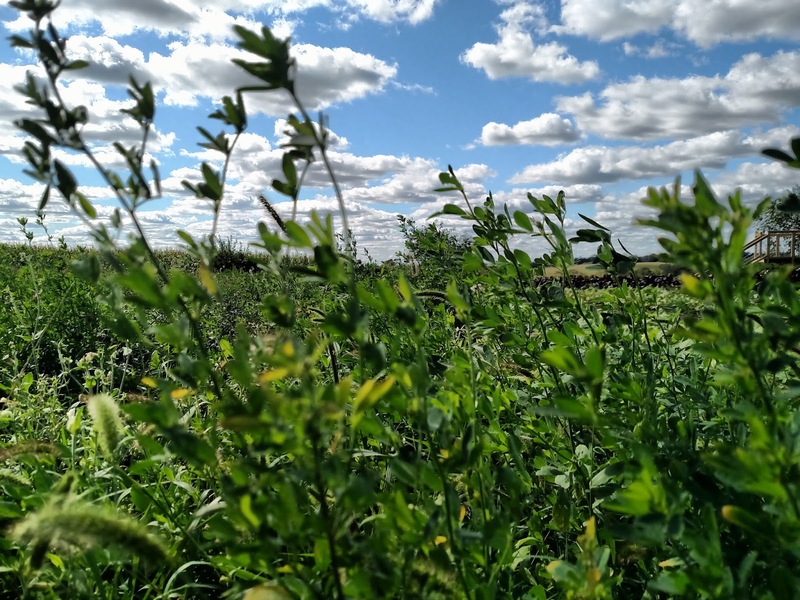 A close second for the best cover crops at Bountiful Hope, field peas create a dense, 4-foot high carpet of organic matter with beautiful purple flowers. They fix-nitrogen, grow quickly, and are easily incorporated into the soil without reoccurring as a pest. 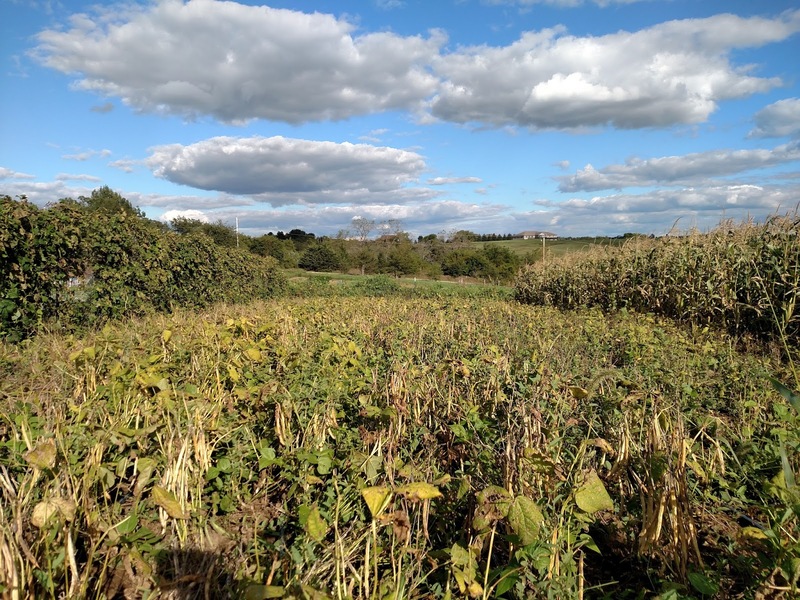 Melissa showed me a plot that had been cover cropped with field peas on May 1st; by early July it had been chopped and dropped. When I saw the plot in mid-September, all that remained of the field peas was a protective layer of straw, through which a succession of clover had established (which Melissa also seeded). 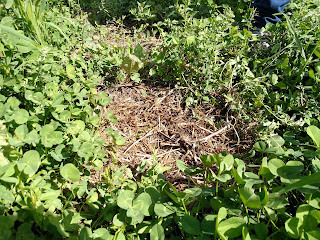 Mulch remaining from field pea chop-and-drop, 2.5 months prior. Field pea volunteering on a nearby plot. 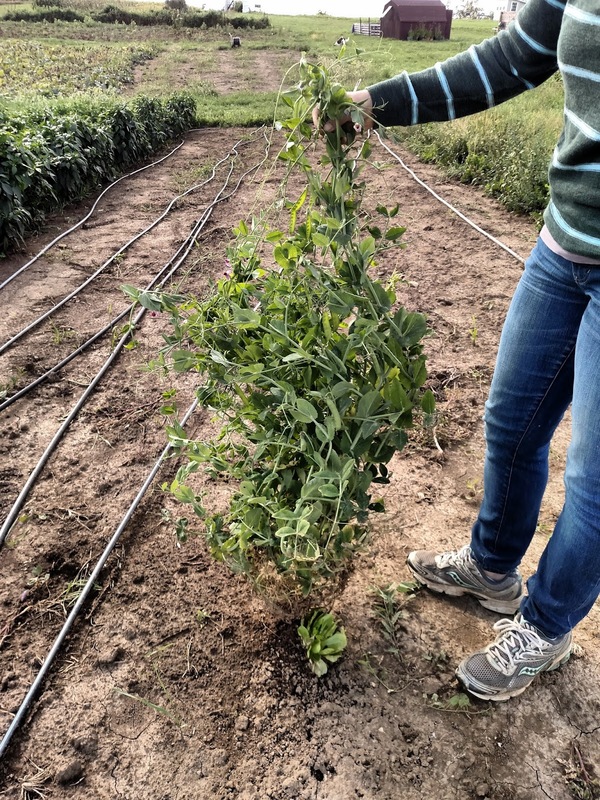 Another nitrogen-fixer, alfalfa is extremely deep-rooted. This brings multiple benefits: tolerance of drought, aeration of the soil, accumulation of nutrients from deep, and, for better or worse, the ability to regrow after winter or after mowing. For example, Melissa broadcasted alfalfa seed in mid-May of 2014. She trimmed that plot and it regrew several times throughout that season. Some patches even regrew throughout the 2015 season. 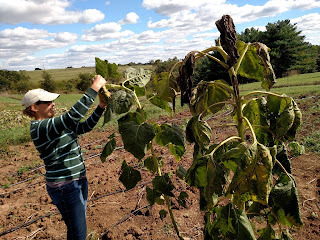 In that particular plot Melissa also grew squash, but the alfalfa needed to be trimmed back several times to allow the squash to establish. 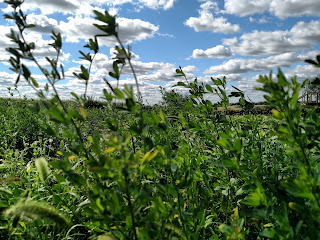 Volunteer alfalfa from the previous year, among others. They meet most of the criteria, especially their early and fast establishment. As an added bonus, oat seed is cheap. However, this list being intended for fertility building, oats are not nitrogen-fixers like the species listed above. So unless they are polycropped with alfalfa or clover, oats themselves are last on the list. I don't have a photo of oats, but here's some strip copping of a nearby farm. Bountiful Hope delivered 12,615 lbs to the food bank in 2015, as of September 17th.